HMD has remarkably taken the challenge of providing solution to the problem of unsafe injection practices arising due to use of reused syringes, by presenting for the first time in India KOJAK SELINGE Non Reusable Syringes which ensure against any possible risk of re usage, as its plunger component breaks off in case of an attempt to reuse the syringe. effort between STAR Syringes of U.K & HMD. HMD collaborated with STAR Syringes of U.K., since their technology was innovative, advanced, simple and affordable. It definitely reflects HMD’s endeavour to mass-produce ‘value for money’ products. STAR Syringes own the international patent of the design, which has won the International Millennium Product Design Award of 1999 and the Design Effectiveness Award of 2000 ,the prestigious United Kingdom’s Queen’s Award and meets ISO 7886-3 & ISO7886-4 Standards for A.D. Syringes. Barrels are made of medical grade polypropylene that is nontoxic & compatible with any medications. Plungers are made of medical grade polypropylene which is non-toxic and compatible with any medications. Presence of ring & lock mechanism which automatically breaks the plunger, if reuse is attempted. The tip of the needle is having thin wall and 3 facet lancet point. 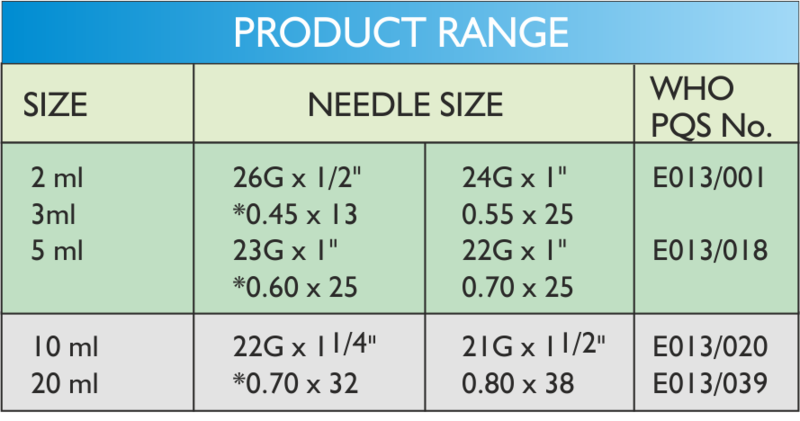 Needle is well siliconized to reduce friction (For smooth penetration & withdrawal). Before use, check the integrity of the sealing of the pack. Do not push the plunger forward before withdrawing medicament from the vial otherwise plunger will get locked. 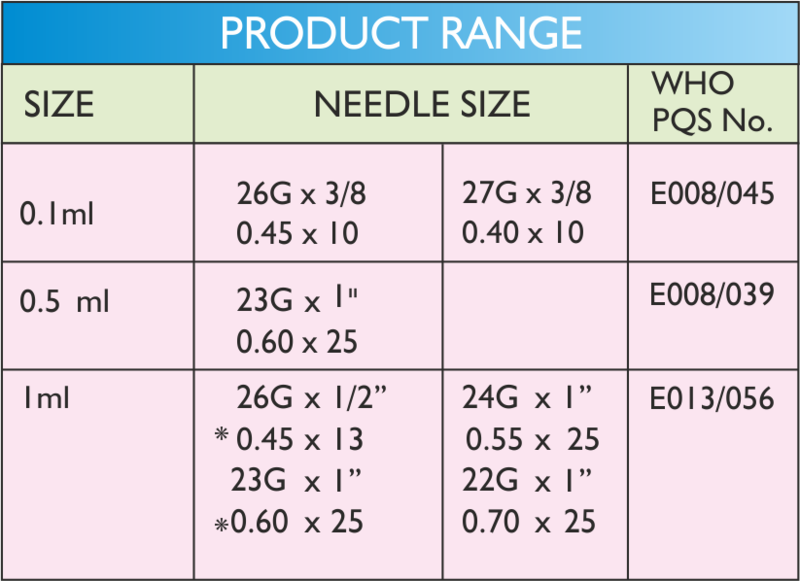 SELF PACK: 0.5ml, 2ml, 5ml-100 units & 10ml-50 units are packed in a printed duplex board box. * All units are in mm. * All unitsare in mm. 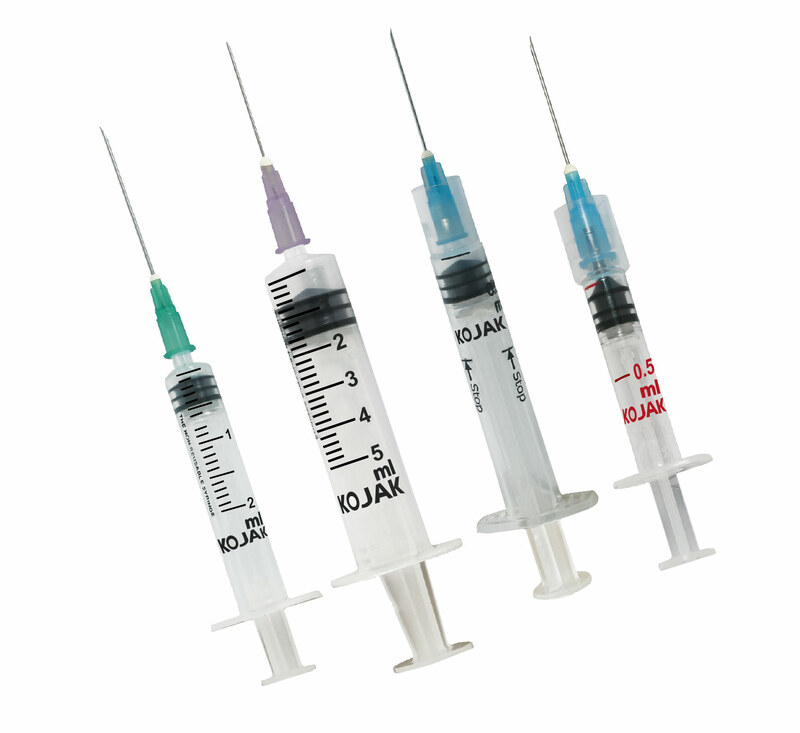 Auto Disable Syringe with/without – Fixed/Detachable Needle.